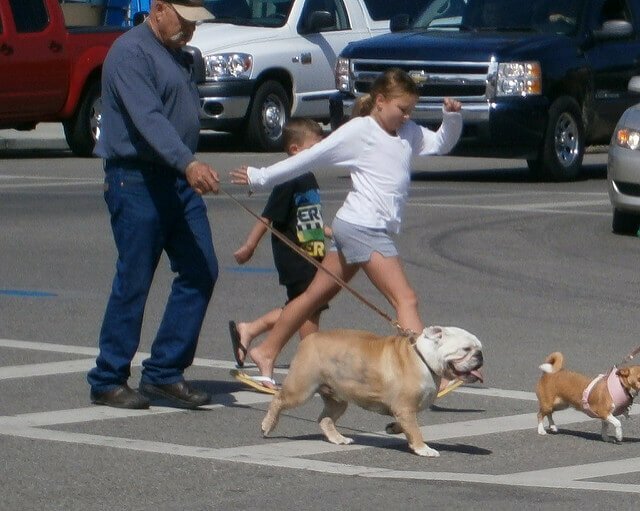 Pedestrians – people walking or jogging on roads – are 150% more likely to be killed in a West Virginia traffic crash than those traveling by car, truck or SUV. In 2013, 4,735 pedestrians were killed in traffic crashes, and more than 150,000 were treated in emergency rooms for crash related injuries, according to the National Highway Traffic Safety Administration. Following the rules of the road below will help keep you safe. West Virginia traffic laws say pedestrians must walk on sidewalks when available. However, if a sidewalk is not available, pedestrians must walk on the left side of the road or shoulder facing traffic whenever practicable. West Virginia Code §17C-10-6. This law makes sense because it allows pedestrians traveling by foot to keep a lookout for oncoming traffic and provides a better opportunity to get out of the way if a driver veers off course. The “whenever practicable” part of the law is not absolutely clear but would likely apply to situations like walking around a blind curve. In that example, it might be more practicable to walk on the right side of the road until you clear the blind curve. (3) When reasonably necessary to avoid any condition or potential conflict, including, but not limited to, a fixed or moving object, parked or moving vehicle, bicycle, pedestrian, animal, surface hazard, turn lane, or substandard-width lane, which makes it unsafe to continue along the right-hand curb or edge or within a bicycle lane. For the purposes of this subsection, a “substandard-width lane” is a lane that is too narrow for a bicycle and another vehicle to travel safely side by side within the lane. (b) Any person operating a bicycle upon a one-way roadway with two or more marked traffic lanes may ride as near the left-hand curb or edge of such roadway as practicable. (c) Persons riding bicycles upon a roadway may not ride more than two abreast except on paths or parts of roadways set aside for the exclusive use of bicycles. §17C-11-6. Carrying articles. No person operating a bicycle shall carry any package, bundle, or article which prevents the driver from keeping at least one hand upon the handle bars. Under West Virginia law, pedestrians are generally required to obey traffic signals and use crosswalks when available. Violating these laws can of course cause serious injury or death and take away or reduce any right you may have had to pursue a personal injury claim against a negligent driver. Warning: Limitations to Pedestrians’ Right of Way in Crosswalks. As mentioned above, pedestrians’ right of way to the crosswalk is limited by traffic signals like walk and do not walk signals. Also, pedestrians only have the right of way while walking in the crosswalk on the driver’s side of the road or close to it. Therefore, pedestrians should not barge into a crosswalk assuming they have an absolute right of way to the crosswalk. Safety Tip: When crossing a road by foot or on wheels, assume drivers don’t see you. Even though pedestrians have the right of way in crosswalks in many situations, that is just a legal right and won’t guarantee your safety. Many crashes involving pedestrians happen because the driver didn’t see the pedestrian. Therefore, walking defensively and assuming the driver doesn’t see you in addition to following traffic laws will help keep you safe. Any person who violates these laws may be found guilty of a misdemeanor and fined not more than $100 for the first conviction; not more than $200 if convicted a second time within a year, and up to $500 for every conviction thereafter. What can be even more costly for violating a West Virginia’s traffic laws is losing or reducing your right to fair compensation in the event your injured by a careless driver. At West Law Firm, we hope this article helps keep you and your loved ones safe. However, if you suspect you or a loved one was injured in a West Virginia traffic accident because of another’s negligence, we invite you to call one of our experienced West Virginia personal injury attorneys for a Free Consultation. Our toll free number is 1-877-943-9378, and there’s No Fee unless you recover compensation.